During the rainy season, it is difficult to get wet. In the cold winter season, it depends on the body's self-warming bed. How do you get through the bed? How are you getting through the bed? The bed is the place where we get along very much in the day. The bed is comfortable and can rest well. Smart plumbing mattresses create a comfortable bedtime, and then stay in bed! Qingdong Nabian has launched a new intelligent plumbing mattress EQM501. The working principle of the plumbing mattress is similar to the floor heating. After heating the water through the small warm treasure, the water is circulated through the water in the mattress, so that each mattress The corners are evenly heated and become the 'mobile floor heating' in the room. Users can control the environment and sleep needs according to their own needs. The new intelligent plumbing mattress EQM501 uses the world-class heating temperature control technology accumulated by Gyeongdong Nabian for 40 years. The warm water temperature of Xiaobaobao can detect the water temperature again after the hot water circulation, so that the mattress can be kept more precise. Temperature, in addition, the fast circulating hot water capacity of the silent BLDC motor can realize the overall uniformity of the temperature of the plumbing mattress. The unique left and right partition temperature control can achieve 1°C precision adjustment of the left and right district heating, 'male' and 'female position' The intimate design, with safety child lock and sterilization function, ensures the comfort and safety of every family member, and users can enjoy the most comfortable sleep at the temperature that suits them best. This plumbing mattress is designed with a lot of humanized features in mind. Modern people are increasingly relying on mobile phone control. This mattress has two controls, remote control and app. 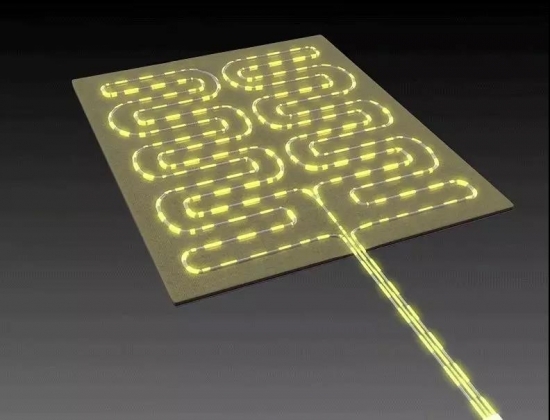 You can control it from anywhere with your phone at home. Plumbing mattress. Plumbing mattress with special suit and drain button, easy to drain after use. Some people may ask: Will there be radiation in the power-on products? Is there any risk of leakage? Can the elderly, children use peace of mind? Of course, Dongge can slap your chest to assure you that this plumbing mattress, regardless of Youth, young and old can sleep with peace of mind, comfort, and fall in love with it. Nabian plumbing mattress has precise adjustment according to the corresponding body temperature requirements, as well as high temperature reminder function, there will be no scald skin phenomenon, and there is no need to worry about sleeping 'unfair' children quilt cold. And, mattress configuration The app has a sleep mode function that intelligently adjusts the temperature during sleep according to the body temperature change chart generated by the human body circulation to ensure the comfort of sleep all night. Nabian plumbing mattress can realize the function of left and right partitioning, ensuring different temperatures, temperature difference between husband and wife (men and women), but the sleep comfort is the same. 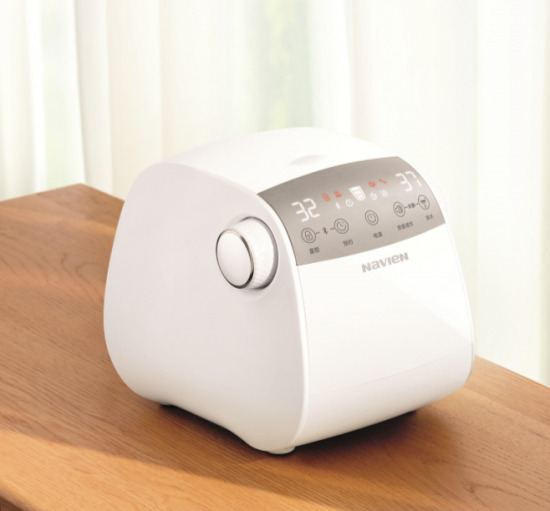 At the same time, the skin dryness when sleeping on electric blanket will not appear, because Sleeping Nabian plumbing mattress can also make the skin more hydrated. For women, it can be regarded as a great beauty artifact! Leakage, water leakage, radiation, and fire? The Nabian thermodynamic mattress is essentially different from the electric blanket. As mentioned above, the working principle of the plumbing mattress is to heat the water in the small warm treasure and then make it on the mattress. Circulating in the waterway, it is not directly heating the mattress, so there is no hidden danger of electric shock. 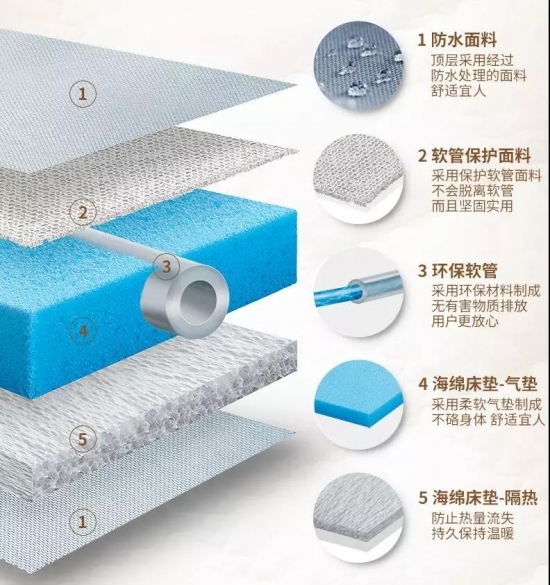 Moreover, Nabi'an imported thermostatic plumbing mattress consists of five layers of structure, including waterproof fabric, hose protection fabric, harmless and environmentally friendly. Silicone hose, sponge, air cushion, etc., covered with cotton bed cover, comfortable skin, soft and breathable, can be used directly as a sleep cover. In addition, the mattress has multiple protection systems, its hydroelectric separation structure will not produce electromagnetic radiation. Convenient operation: Smartphone/remote control, no need to get up, can reserve heating time, set sleep mode, turn off voice (enjoy sleep), special suit and drain button settings, automatic drainage. Convenient storage: ultra-thin, compact, foldable. Easy to clean: 100% cotton fabric (easy to clean), dark gray, deep blue and blue (dirty haha ​​~), open design, three-sided zipper, easy to disassemble and clean. With this smart plumbing mattress, from insomnia and dreams, you can enjoy the most comfortable warmth in the corner of your home, whether it is rainy or cold.